After all, dentistry was a big part of Dr. Craig Reading's family. His grandfather was a dentist, as were his uncles. And because Dr. Reading thought his grandfather was the greatest man he ever knew, he decided that if he were to become a dentist he might be a great guy, too! It's obvious, after more than 30 years in practice, that many of Dr. Reading's patients would agree. 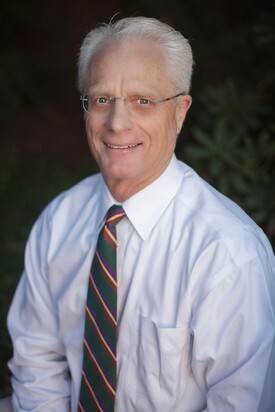 A graduate of the University of Oregon Health Science Center (the same school his grandfather had attended, and now known as Oregon Health & Science University), Dr. Reading set out on a mission to provide his patients with world-class service in a caring, friendly, fun and safe environment. Additionally, he pays close attention to your comfort, ensuring that all procedures, treatments and injections are as pain-free as possible. He must be doing something right, to have patients say,"I've never been cared for like this." To stay on top of the latest dental advancements, Dr. Reading attends countless hours of continuing education, to bring the best that dentistry has to offer under one roof. From family dentistry, to cosmetic procedures, dental implant placement and restoration, Invisalign and more, Dr. Reading and his team are ready to provide you with a positive experience that you deserve.